A variety of filter cartridges in different designs are able to filter coarse as well as very fine impurities from water or other liquids. Depth filter elements with nominal deposition rates are often used as prefilters and furthermore offer many possible applications in liquid filtration. In order to achieve the required purity, absolute filter cartridges or pleated filter elements are usually used for very fine applications. 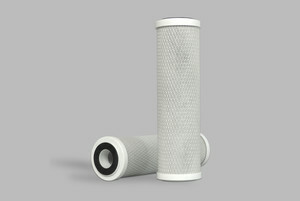 Due to the wide range of cartridge filters, the perfect adjustment to your process is possible. The classic and millionfold proven string wound filter cartridge consists by default of a polypropylene yarn which is wound onto a supporting core of the same material. Further yarns like cotton, polyester and glass fiber with stainless steel core allow applications under different operating conditions. This enables the use at higher temperatures as well as a broad spectrum of chemical resistance. During the meltblown process, granulates are fused inside an extruder. 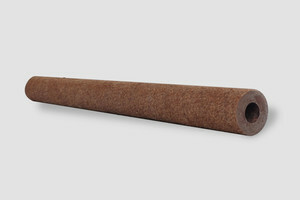 The extruded material in the form of microfibers is further processed via injectors and hot air into the final filter cartridge. Because of the special manufacturing process under high quality standards, these filter elements are not in need of a supporting core. Still, relatively high differential pressures are feasible. 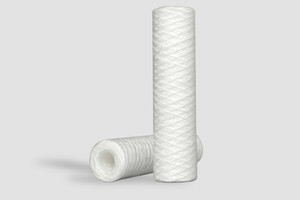 The continuously graded pore structure allows a long lifetime of the filter element. 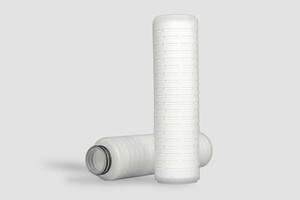 Our absolute filter cartridges are the solution to steadily increasing requirements on the purities of numerous fluids. These meltblown-processed filter elements achieve an absolute deposition rate with a β – value of 5000. The standard supporting core made of polypropylene supports the high structural strength. A high absorption capacity of solid particles together with the absolute deposition efficiency allow a profitable use of these cartridge filters in many applications. 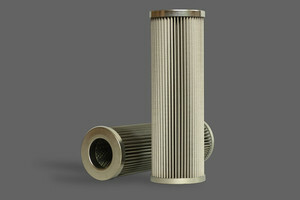 Filter cartridges with pleated filter material have an increased surface area compared to conventional filter elements. Thus, longer lifetime and a cost-efficient filtration is achieved. With a supporting core as well as a strong external cage, a sufficient strength is reached. The multi-layered elements are thermally welded and free of binding agents, adhesives or additives. They are available with nominal as well as with absolute deposition rates. Activated carbon filter cartridges with carbon blocks are continuously produced by extruding activated carbon granules in conjunction with additives in food grade quality. The result is an excellent adsorption capacity of the activated carbon block without fine coal being dissolved in the liquid. Chlorine, odors and organic residues are effectively retained. Lengths: 9,75" · 9,875" · 10" · 20" · 30"
Filter cartridges made of stainless steel can withstand high temperatures and corrosive media. Consisting of smooth or pleated wire mesh resting on an underlying perforated plate, stainless steel filter cartridges can be cleaned and reused after various procedures. The right choice could be among the many other variants of filter cartridges. These include phenolic resin reinforced acrylic fiber elements, coreless filter cartridges with larger diameters and activated carbon cartridges both with granules and as a combination meltblown filter medium / extruded activated carbon block. Please contact us personally with your needs or requirements and we will find a solution for you.